Whilst washing in an outdoor shower in Bombay, Josh Onysko fell in love with some oatmeal soap he had made with his mother before leaving Rhode Island. Pangea Organics all started (although he did not know it) when Joshua Onysko had an idea for sustainable packaging whilst sitting in a National Park, Southern California. The idea was that consumer packaging should have a second use – for the packaging from the product we use to create the products that are sold. At this point, he didn’t know what he would apply this idea to. When Josh was 18 he read an article about green sea turtles needing protecting from poachers who would steal the eggs and sell them on the black market. After reading this, he decided to go and live on the beach, where he harvested the eggs and raised them in an incubator before releasing them back into the wild. It was after this experience that he started to realise just how much of what we buy comes from sweatshops. After finding out that only 8% of Americans had passports at that time, he decided to save up some money and move to Bombay. Before leaving, he went to say goodbye to his parents who lived in Rhode Island. Whilst at their house he saw a book on the coffee table that was a guide to making hand-made soap. Joshua and his mum made a batch of oatmeal soap which they gave away to friends and family and 2 bars went in his backpack with him to Bombay. In an interview with Organic Beauty Radio, he said one of his strong memories from Bombay was using the handmade soap in an outdoor shower and remembered loving everything about it; how it smelt, how it felt and worked. After 2 more years of travelling, he eventually ran out of money and headed back to New York where he made another 500 bars of soap and sold them at the Oregon Country Fair. It was around this time that he decided he wanted to do something to make a difference. He formulated a business plan for what he called the Pangea Institute. This institute would teach corporations how to be more sustainable and to help them see that being more sustainable doesn’t mean losing profit. He told a friend about his business plan and they suggested he start a soap company as a role model for the Pangea Institute. Joshua got a job as a baker and would go home at night and make soap and then sell it at places like gigs, shopping centres and farmers markets. He started to receive an increasing amount of phone calls and emails from people who wanted more soap – and it went from there! When formulating the soaps, he made the decision to avoid palm and coconut oil. Palm oil especially is very environmentally destructive – to the land as well as the wildlife. He researched alternative oils to use and found some that gave the soap a completely different texture. All Pangea soaps are cold processed (rather than hot processed) in order to preserve the nutrients and medicinal values. It takes 12 weeks to form a bar of Pangea soap. The soap is made in 500lb batches, poured into 100lb cubes and left to sit for 2 days to solidify. These cubes are then cut into bars and put onto drying racks for 2 months to remove excess moisture, after which they are ready for packing. All of Pangea Organics ingredients are sourced sustainably and responsibly from 42 countries across the world. They support over 45,000 acres of organic agricultral land and work with 2 womens co-operatives based in Ghana and Morocco. Staff and employees – All Pangea employee earn a living wage: no-one earns less than $12.50 an hour. Pangea pay for full medical, health, dental and visual insurance and provide free state wide public transport passes. The staff and employees run an organic garden which has enough food to feed the entire work staff for 7 months of the year. 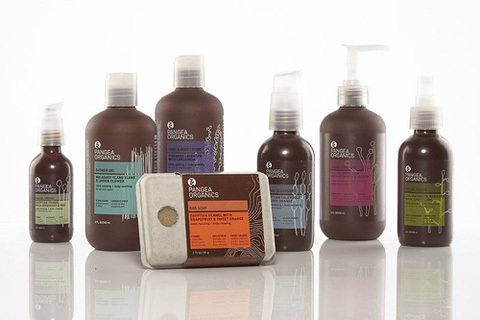 “Ecocentric bodycare” – no petrochemicals, parabens, GMO’s, synthetic or chemical ingredients. Providing body care that is “always beneficial and never artificial”. Cruelty free – No Pangea Organics products or ingredients have been tested on animals. All of Pangea’s packaging is beautifully and sustainably made. Joshua felt that packaging used to sell consumer goods should have a second use. He wanted to use packaging to create the products that they sell. All of the boxes in the range are made from egg crate so they are biodegradable. 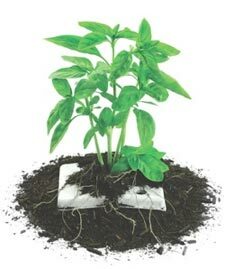 The egg crate carton is made from shredded newspaper that is added to warm water to create a pulp. This pulp is then pressed through a machine that uses steam to press it into shape. The shapes are then die-cut and folded to create a zero waste box. No glue is need to assemble them and any off cuts can be added back into the pulp. Bottles are made from brown glass and the labels are screen printed on.